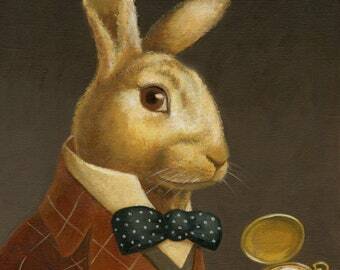 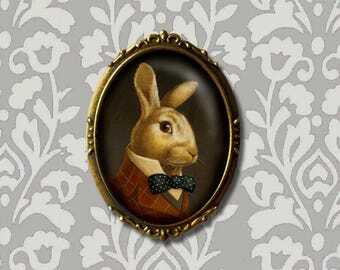 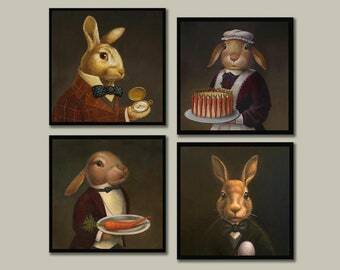 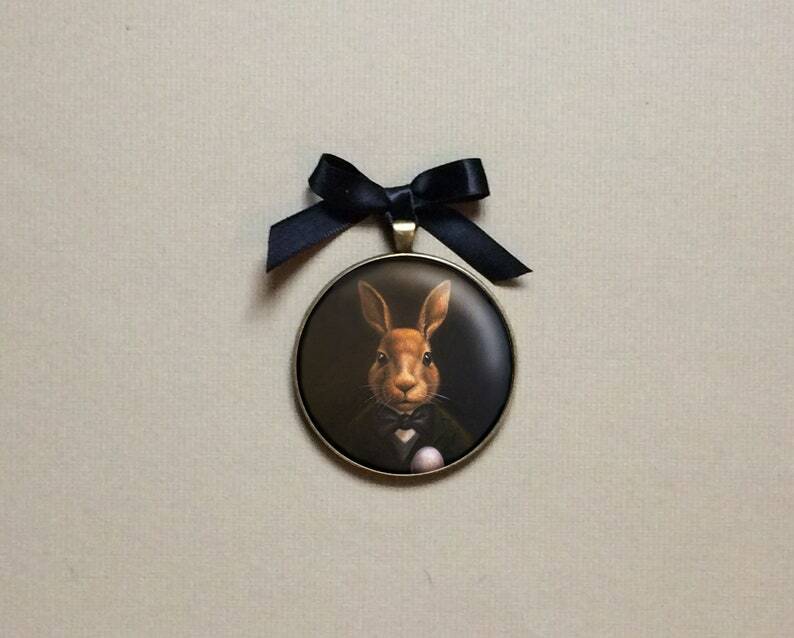 This dark rabbit ornament will add a touch of Victorian charm to your gallery wall. 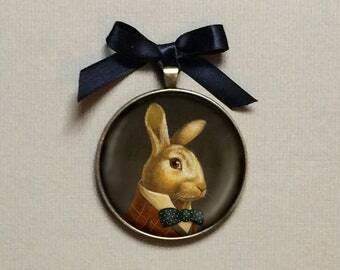 With the short ribbon bow, he is ready to hang right on the wall and with the long ribbon, on the Christmas tree. 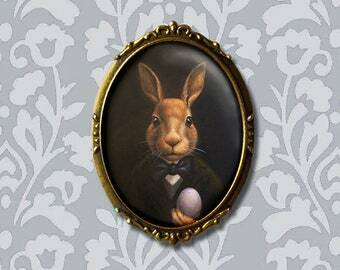 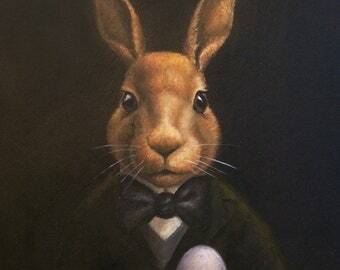 Inspired by the March Hare from Alice in Wonderland, it is a perfect gift for any rabbit lover, animal lover or Victorian aficionado. 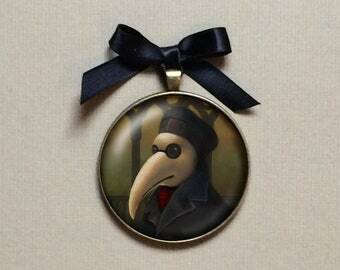 Packed in it's own felt pouch it makes a thoughtful Secret Santa / Pollyanna gift or a Stocking Stuffer. 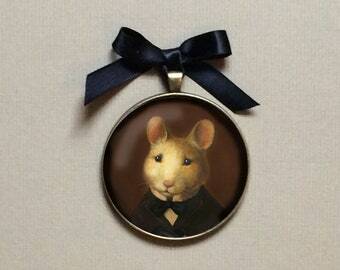 His portrait is available as a print, brooch, necklace, notecards, coasters and necklace, some links are below. 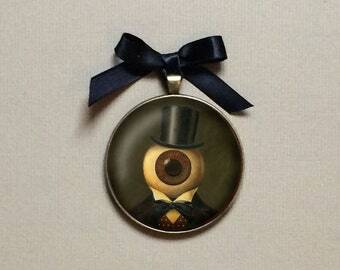 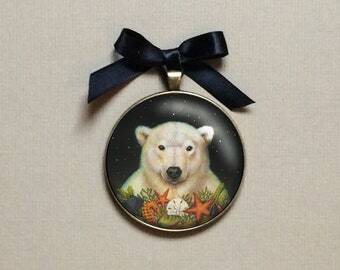 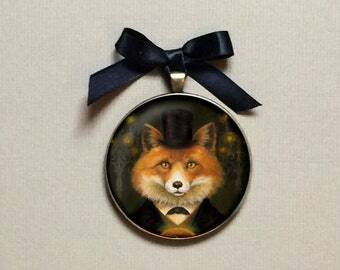 This 2" round ornament has a bronze setting with the print nestled behind a resin cabochon and a black hanging ribbon. 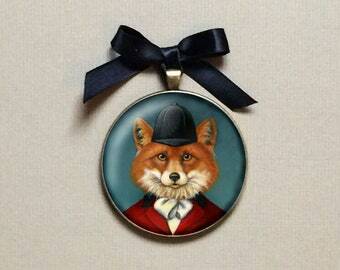 (You may request a red ribbon at Christmas time) It arrives in it's own felt pouch tied with a satin ribbon.